What the ****. Pat O'Brien went full Florida Man. Zeal & Ardor announced for Wellington. Saw that and Ithought there'd be some interest here. Can't say I'm a fan though. A little while ago they kind of had a sudden spike in popularity, at least within my Facebook metal friends circle. But I just almost feel a bit uncomfortable with the mash of genres. I didn't really give them a proper listen to be fair. Yeah i like some Slayer but i'm not a big fan of them either, would rather Testament or Overkill been in the big four instead of them, same with Anthrax i like some of there stuff but not a huge fan. Stay away from the drugs bro, nothing good comes from them, unless its just a bit of marijuana..i'd rather stick to drinking,, but not in excessive amounts like i used to. I disagree on Testament, they rock, still making good metal...chuck billy's vocals a unique, he can do the death vocals good aswell and yes overkill is great, the last album "The Grinding Wheel" is brilliant. I need to give Emperor a go. I love Ihsahn's solo work, but have never really listened to Emperor. Has anyone ever heard of Sojourner? Bf is touring with them and they have a couple of kiwis in the band. I went to the Wellington Earthless gig which was amazing but no photos taken though. I do wish he wouldn't sing but Cherry Red was good though. Earthless was the best man, so ****ing good. 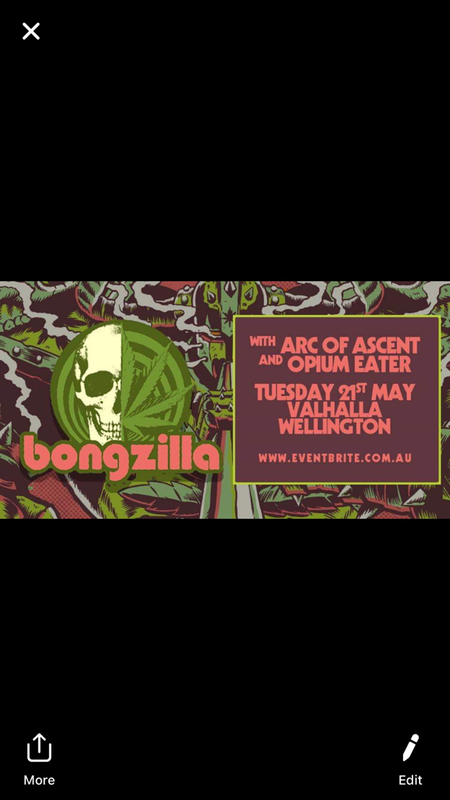 Next big’n I’m frothing for is Bongzilla, biased as **** because my band is opening. Wellington homies, get some tickets, it’s gonna rule. I work with one of the guys from Arc of Ascent. Then Judas Priest on Saturday. Going to be a damn good weekend. Why? Asians don't like metal?